White Rose Tents to the Rescue! We were contacted by Bell Hall Weddings with an emergency - they were hosting a wedding, and their own stretch-tent had been eaten by mice! Not to worry, we usually have plenty of stretch tents in stock available for hire and also have our excellent team on hand who go above and beyond to create beautiful spaces for wedding ceremonies, parties or festivals, and in this case, save the day. We had a great day setting up the stretch tent wedding. We couldn’t drive directly onto the site, so we had to walk carrying the stretch tent and poles to the tent site - this doesn’t phase our team, we relish any chance we get to get our muscles pumping. The happy couple requested that the aisle went down the middle of the stretch tent, so we set up the king poles slightly off centre, and it looked fantastic. Its also possible to have two sets of king poles to mark the aisle as in this set up. Because Bell Hall Estate is set in historical grounds, extra special care and attention were taken not to damage old listed walls and flower beds. The estate has been privately owned and lovingly nurtured by the Forbes Adam family for over 300 years. 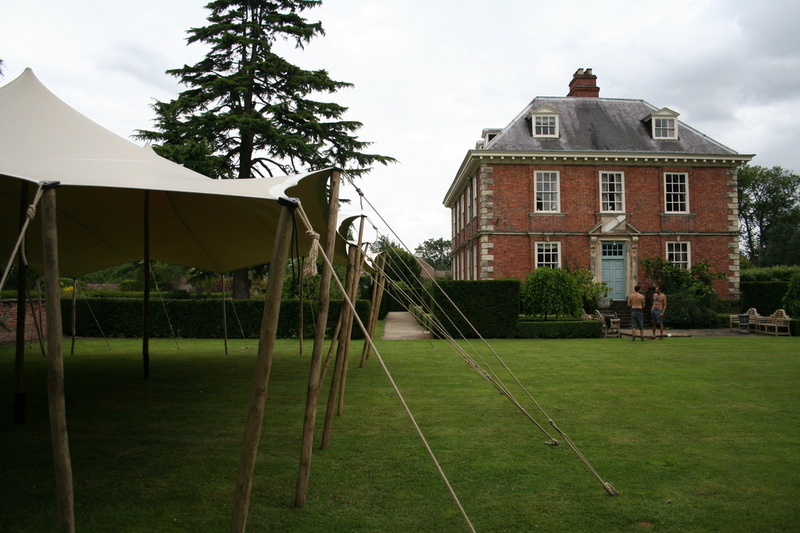 The venue is licensed for civil partnerships or wedding ceremonies and is a brilliant place for a wedding or any kind of party - they even have their own tipis set up semi-permanently throughout the summer season. Bell Hall Weddings were so happy with the service that we provided that White Rose Tents are now their official supplier. Yay. We take great pride in our work and this is reflected in the testimonials we receive. 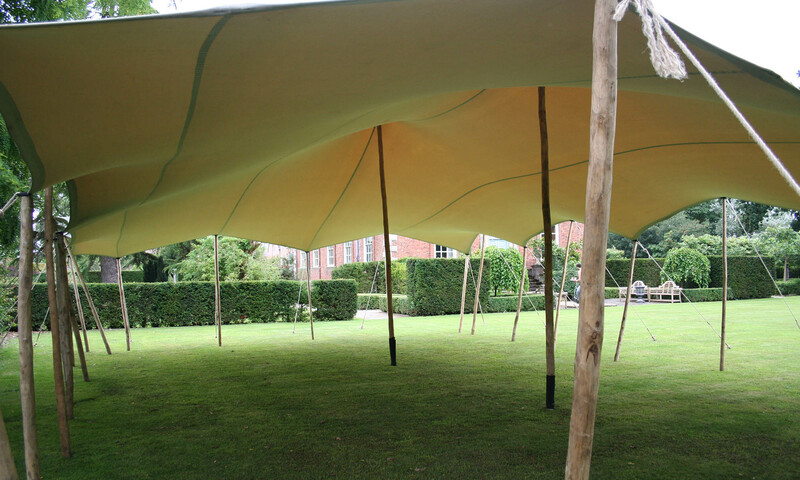 To enquire about our stretch tent hire please contact us here.